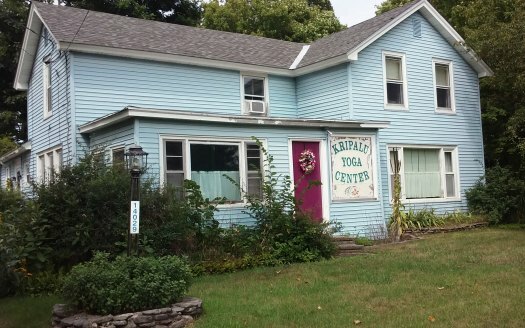 The Kripalu Yoga and Wellness Center has been located in Adams Center, New York, since 1976. We are a non-profit organization dedicated to promoting the integration of body, mind, and spirit. We are founded on the belief that all humanity is one family and that the Divine dwells within each of us. We support this philosophy through the teaching and practice of Yoga, and by offering health-related programs and services to nurture personal growth and community. The Center owns a house and eight acres of land. 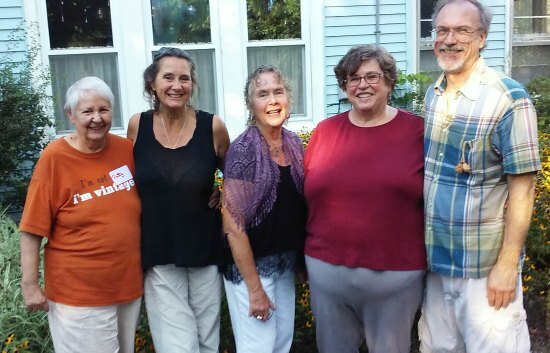 Since the year 2000, we have accomplished many renovations to our Center, including a new roof, new furnace, new bamboo flooring in our teaching space, painting and remodeling, and a new leach field for our septic system. In 2003, we received a $2000 grant from the St. Lawrence County Arts Council to construct a 70 foot Labyrinth. In 2007, we received a $2000 grant from the Jefferson County Health Department to construct a half-mile Walking Trail. In 2010, we constructed Phase I of a Megalith Stone Circle and fire pit. In May 2016, we erected a full-size Native American Tipi to be used for meditation, drumming circle, and retreats. The grounds are free and open to the public during daylight hours. Located next to the information kiosk is a donation box to support upkeep and maintenance of the grounds. We rent the upstairs apartment to a like-minded person. He is very willing to schedule a tour of our Center for you. We offer yoga classes 4 days a week. Drop-ins are welcome at $10 per class or four consecutive classes for $30. Student cost is $5 per class. Each of our certified yoga teachers has their own style. Come see which class is right for you. We also offer a Drumming Circle on the second Friday of each month and the Wellness Connection on the third Sunday of each month. Personal growth workshops are scheduled at various times throughout the year. Get notifications of news and upcoming classes and events by signing up for the KYWC newsletter. You must be at least 16 years old to subscribe. Our vision for 2016 is to increase our membership to help sustain our Center and help serve the needs of our community. We are currently working to increase scholarships for Yoga Teacher Training, children’s programs, and yoga programs for the underprivileged.